"They are distributed all around the world, Pokemon have different habitats. Some like water, some like mountains, there are a lot of places they like to live so you will have to go to quite a variety of places to catch them all"
In addition to Hanke's comment, we have learned some more information about Pokemon Go's gameplay and mechanics. Player Profiles: From the footage shown, every player will have a profile and his or her own avatar. The on screen information will include Trainer Level, username and appearance (which looks to be customizable). Trainers can gain experience points through capturing Pokemon and actually level up themselves. Capturing Pokemon: The footage showed a player attempting to capture a wild Ivysaur, however no battle preceded the capture attempt. It remains to be seen if battling wild Pokemon will be even be possible in Pokemon Go. 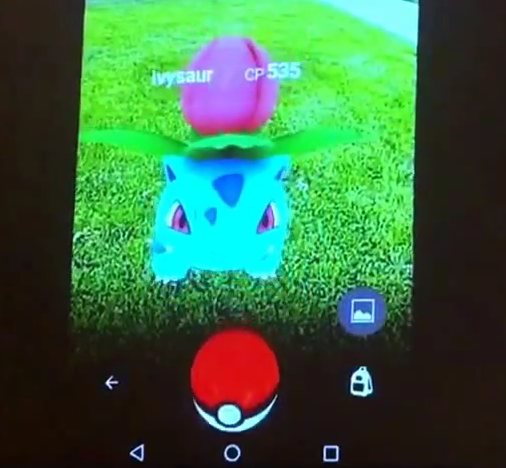 With a swipe of a finger, the user attempted to manually capture Ivysaur by throwing Poke Balls its way. The throw attempt Missed the first time and the Pokemon broke free on the second throw attempt. Note: Before the capture attempt there were three Ivysaur icons in the bottom right of the screen. This could possibly mean that the Trainer has three attempts to capture the Pokemon before it runs away. Poke Balls: All four Pokeballs were shown in the user's Items window, each providing a greater chance to capture Pokemon. Master Ball- The best chance of capturing a Pokemon. 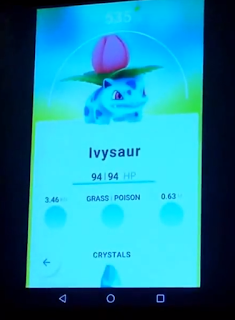 CP: In the video, Ivysaur had the following labeled above its head "CP 535". CP stands for Combat Points. The higher the CP the more powerful the Pokemon. Pokemon with greater CP are more difficult to catch. Crystals: Used for evolutions. Collect enough evolution shards to fill up your Pokemon's crystal. This footage is still from the Alpha stage, but I do like what I have seen so far. Please let me know your thoughts in the comments below. Click here for more information About Pokemon Go.